The history of the Bar Chavolas goes back to 1900, when Dona Severina and Don Paulino, ran the premises, that were a meeting point for writers, journalists, and other people in the cultural world of Vigo at that moment. On 29th of March 1958, the business changed owners, passing into the hands of the Milagros (Mila, as she’s known to her friends) and Juan Gomez, her husband, who incorporated into their business wines from Ribeiro from their own harvest along with homemade meals,including specialities of the house: Galician broth,pies, rices, squid, and they also prepare all type of meats, stews or baked dishes, without forgetting the desserts , like grandmother’s cake , stuffed tubes of cream and the flan, all of them homemade. Later in 1979, the mother of Mila, Dona also began helping her in the kitchen. 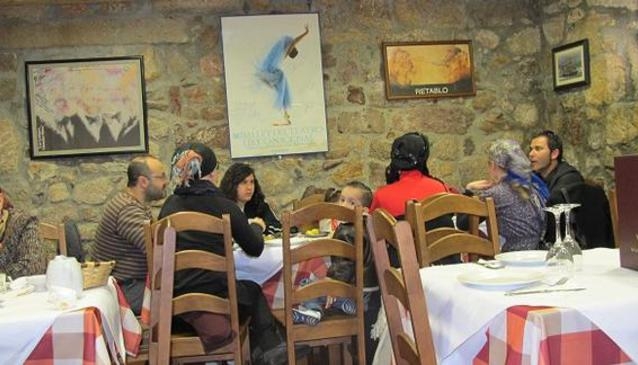 If you plan to visit the Old Town of Vigo, next to Constitution Square then you should stop and make a visit to Bar Chavolas, you will love going there and you will leave satisfied with the pleasant service and also, thanks to its wines and food.